The Syrian crisis has a very important humanitarian aspects represented by the refugee crisis. The Syrian refugees coming to Europe now are in general civilians affected by the violence or the poor living conditions and the absolute lack of perspective in the refugee camps in the neighboring countries. They come from all walks of life and various religious affiliations. Many of them are rather young with good vocational training or expertise. It is important to note that, apart from individual cases, Syrian refugees are not extremists. On the contrary, the majority of them are fleeing extremism they are not radicals they are escaping radicalism. The armed conflict is the main reason for people to flee Syria. While the immigration of large numbers of refugees is certainly in some ways a challenge to the social structures and the ability of states and societies to accommodate and integrate them, and even a debate on the possible rise of radicalization and sectarianism has been launched, it is also a chance for European societies to shape a common future with Syrian partners and give impetus to positive future developments in Syria and Syrian-European relations. It is in this context that we are developing with partners the “Young Leaders for Syria” capacity building program that will address current challenges in the host societies, while at the same time contributing to building capacity for a democratic and inclusive development based on the rule of law in a future post-conflict Syria. We are conceptualizing a series of successive workshops and related initiatives that provide or contribute to: 1- Prevention of potential radicalization reproducing conflict lines within Syria among the refugee communities in the host societies (short and middle term).2- Participation and integration in the local community through civil education and professional/capacity building (short and middle term). 3- Building capacity for a future peaceful development in Syria (middle and long term). The target group are young Syrian refugees in Europe, starting from Germany. As for our long term goal, the Democratic (Re-)Building of Syria and Syrian Leadership Potential, we assume that ultimately only a Syrian force will be able to build a sustainable statehood and hold Syria together. However, this needs assistance from outside: It is essential to amplify and strengthen the democratic basis of the post-conflict Syrian state and society by embarking on capacity building now. While it is necessary to establish and maintain contacts to groups within Syria, the presence of Syrian refugees in Germany and Europe is a chance in this respect that should not go unused: The refugees themselves should be consequently included in the efforts to prepare a post-conflict reconstruction of Syria and be supported in their own efforts towards this end, bringing to bear their specific knowledge and competences. Boosting their integration in Europe first, thus giving them the opportunity to develop their full potential and train in techniques of societal and political participation by practical learning, is a first step to this end. 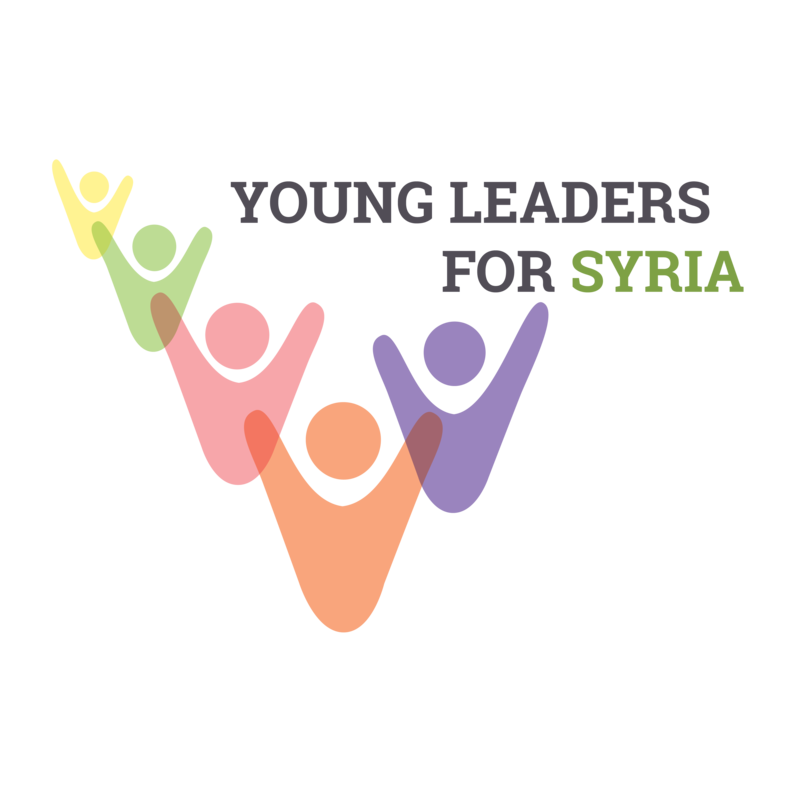 The Young Leaders for Syria program will be created as an initiative to strengthen this process of training and active dialogue by involving a group of potential young leaders/ multipliers from the refugee community on the one hand and stakeholders from the host society on the other. On the short and middle term, this will also be instrumental to facilitating Integration and the Prevention of Radicalization. Integration in this context can be seen as a mid term goal as well as an instrument needed to provide the skills for the long term goal – transformation in Syria – in a broadly understood concept of “learning by doing” accompanied by a framework of workshops, theoretical reflection and networking opportunities. Refugees were and are welcomed in an impressive atmosphere of solidarity in Germany and some other European societies, for the time being, the environment and atmosphere are still favorable, It is essential to make positive use of this atmosphere immediately to give impetus to the integration process of the newcomers. This includes not only (external) assistance by the relevant German/European authorities and stakeholders who can (for example) facilitate the integration into the educational system and the labor market. It also requires the activation and active participation of the target group – the refugees – from an early stage; enabling them to enter into an active dialogue based on universal democratic values with their host societies as well as other refugee groups, thus contributing to a vibrant, open civil society and practicing techniques of civil and (socio-) political participation. If chances are forfeited, one possible threat could be the reproduction of conflict lines of warring parties within Syria among Syrian refugees in Europe; the realignment along sectarian lines that are presented as the supposed source of conflict in the narratives of both the Syrian regime and several (pseudo-)religious, radical rebel groups. There is therefore an urgent necessity to tackle and contain possible identity conflicts among the refugees, and to prevent any sense of rejection that may generate frustration which may in turn contribute to radicalization and a spread of sectarianism. European authorities and stakeholders need to work out a consistent and sustainable approach to the integration process that will give refugees opportunities and will treat them as partners. They need to engage the right (institutional) partners – including the existing population with migrant background – for the right purposes. Actively contributing to integration by shaping the integration process in a broad dialogue involving a range of partners is where the “Young Leaders for Syria” program comes in with its focus on conflict prevention/-management and capacity building that involve and get involved with the refugees.